The Category heading will expand. 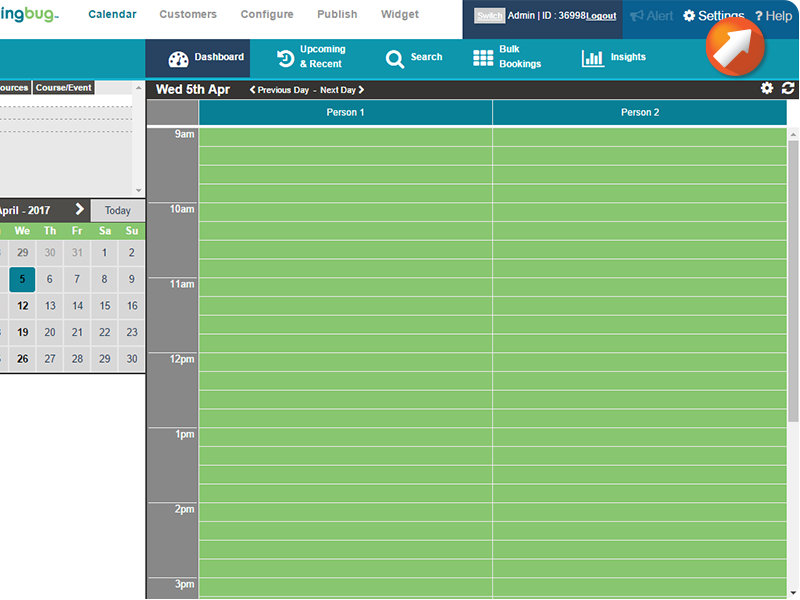 Underneath the chosen subject, a list of sections will appear. 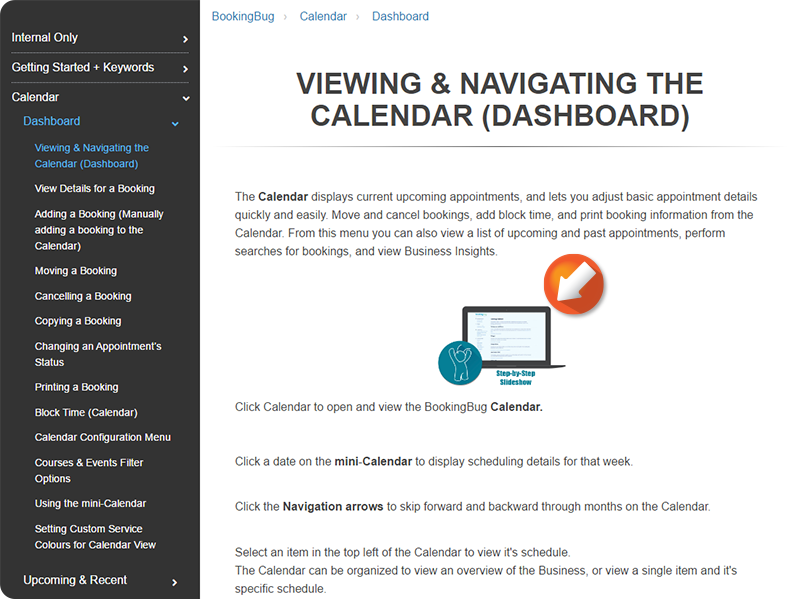 Click the desired Section title to view a list of articles. Click and scroll to advance through the tutorial. 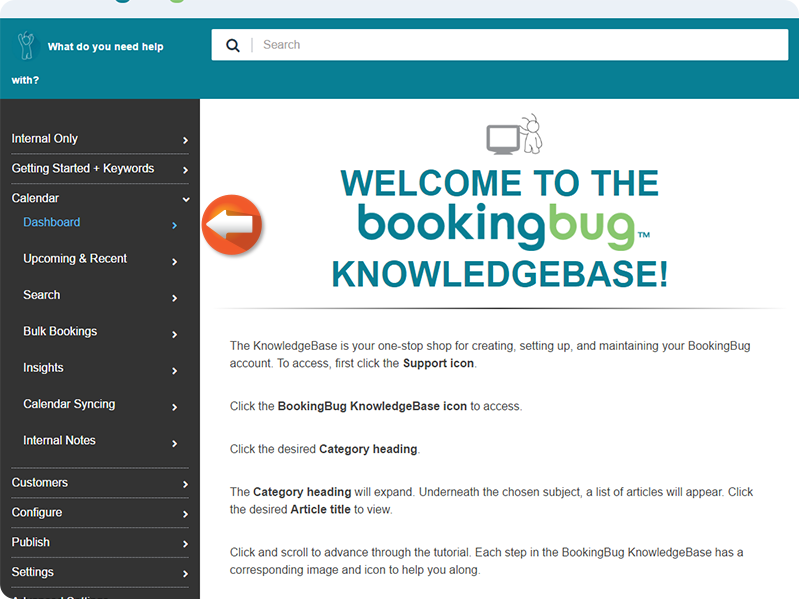 Each step in the BookingBug KnowledgeBase has a corresponding image and icon to help you along. 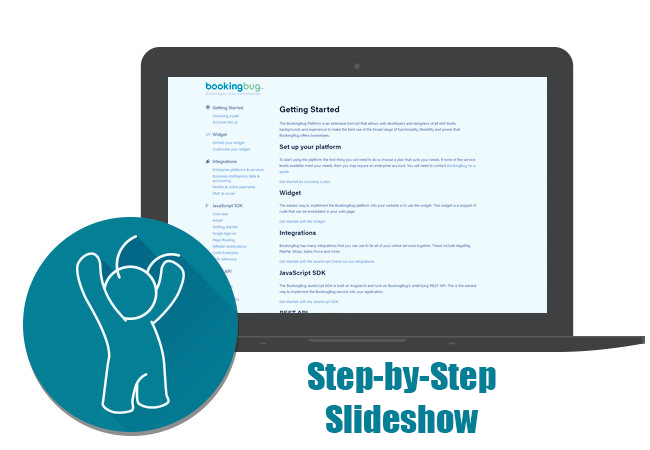 Click the Step-by-Step Slideshow icon on each articles to get step-by-step images. 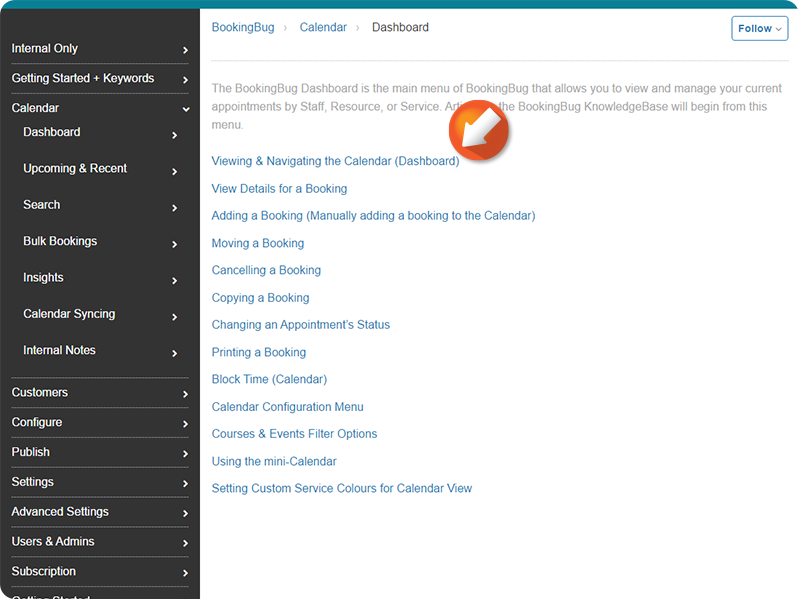 Use the Search field to search for relevant terms and articles in BookingBug. 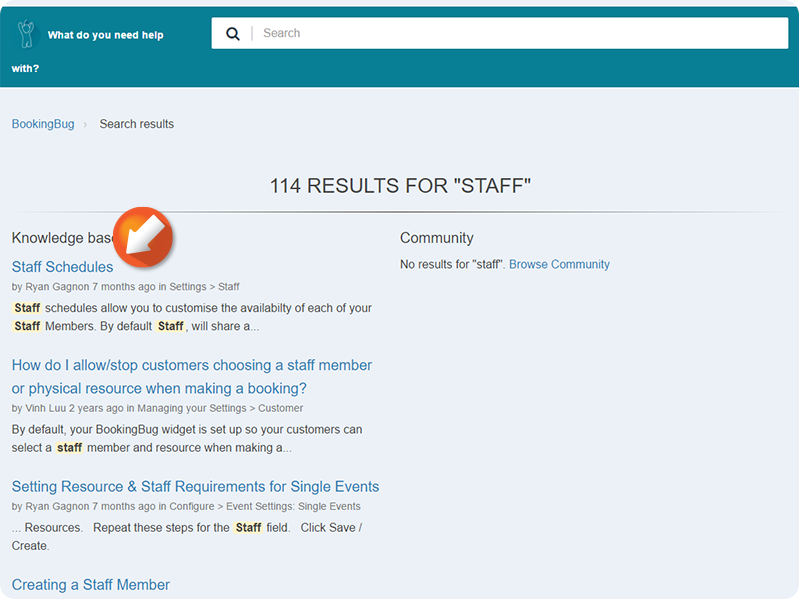 Enter the desired term and click Enter on your keyboard to perform a search. Still stumped? 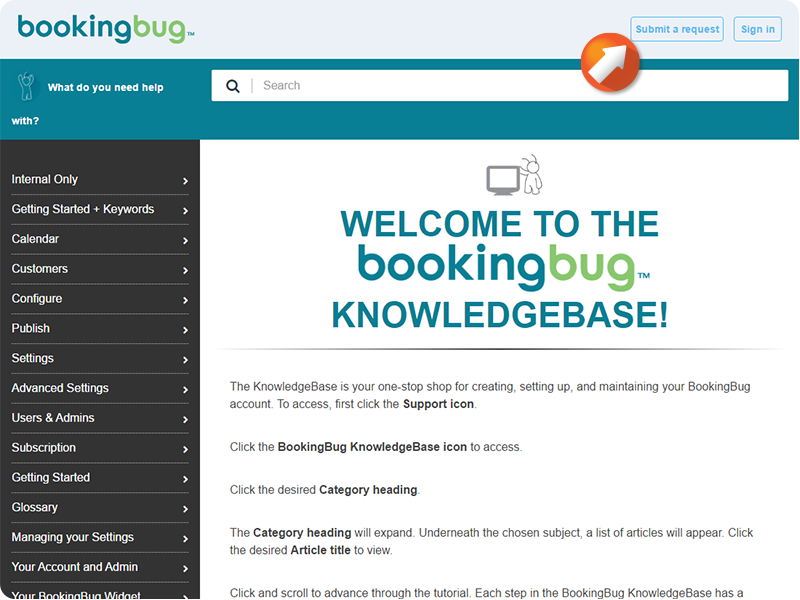 Our BookingBug Support Office is here to help! 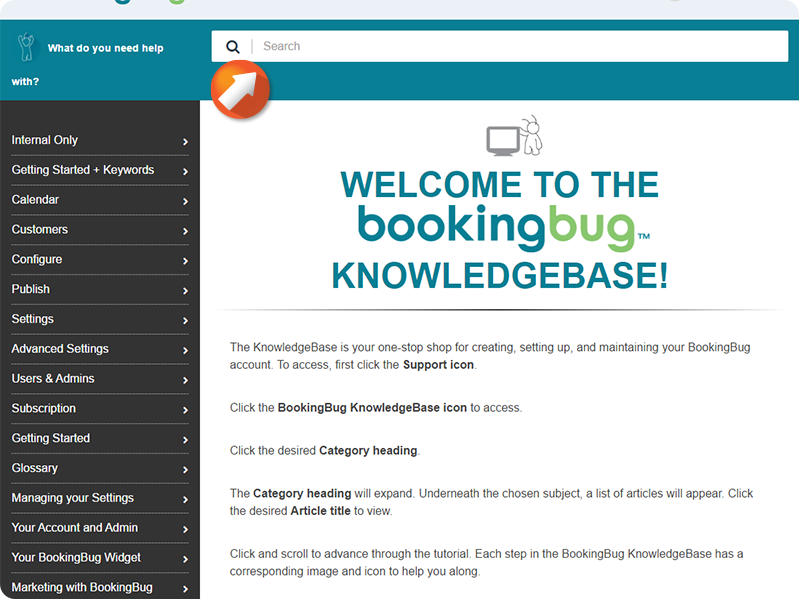 If you encounter any errors during configuration, or need help with something not covered in the KnowledgeBase, feel free to email the BookingBug Support Office. 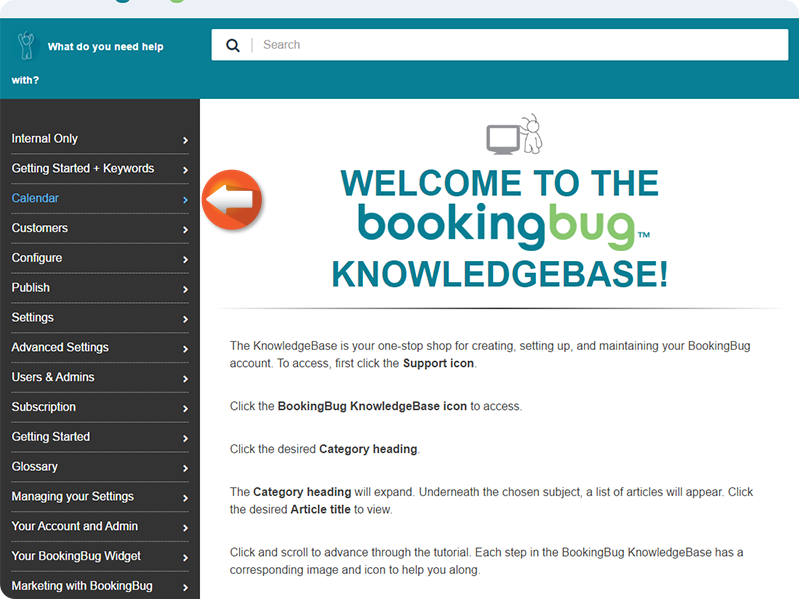 We are currently operating in London, Boston, and Sydney, and our associates should be able to help you diagnose the source of any errors you encounter while using BookingBug. Click the Submit a Request icon for additional assitance.